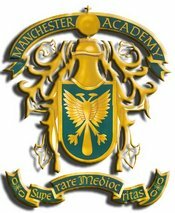 Manchester Academy, a college preparatory school, actively seeks to ensure that each student develop his/her spiritual, intellectual, social, and physical potential in order to develop moral principles and achieve academic excellence. Manchester Academy believes that a safe, secure, and Christian learning environment is essential to student progress. Manchester Academy believes that the atmosphere of a classroom should be conducive to learning and to solving problems. Manchester Academy believes that students should become actively involved in the learning process in order to become life-long learners. Manchester Academy believes that every student has infinite value and unique abilities including the ability to learn. Manchester Academy believes that positive relationships and mutual respect between student and faculty enhances the student’s self-esteem. Manchester Academy believes that education is a continuous process which instills pride and self-respect in the learner. Manchester Academy believes that instructional strategies should incorporate a variety of learning activities which accommodate different learning styles.